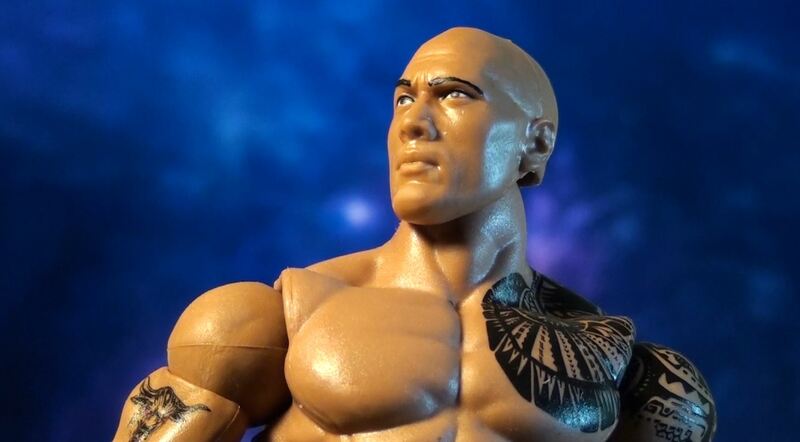 Finally, The Rock has come back with an updated body sculpt with removable warm-up gear. Includes sunglasses and microphone. 7 inches tall, uses Elite articulation, highly pose-able. Retails for about $17 (Target, Walmart, Toysrus). Good luck toy hunting for him…he’s tough to find. This is a very cool Toysrus exclusive priced at $17.99. 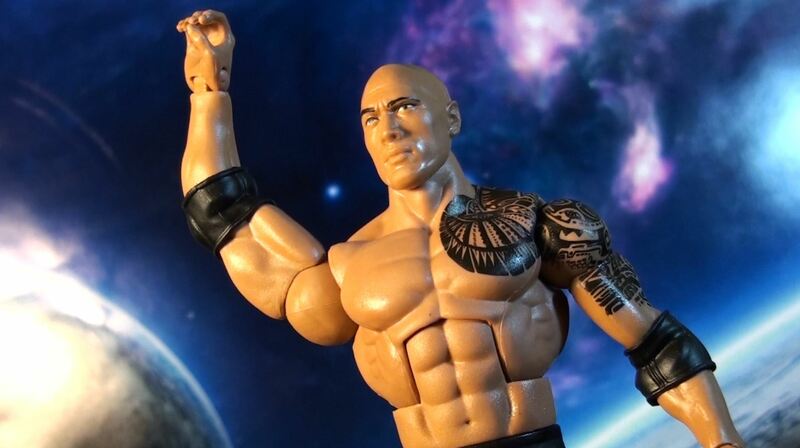 The host of Wrestlemania 27, The Rock gets his first updated action figure. 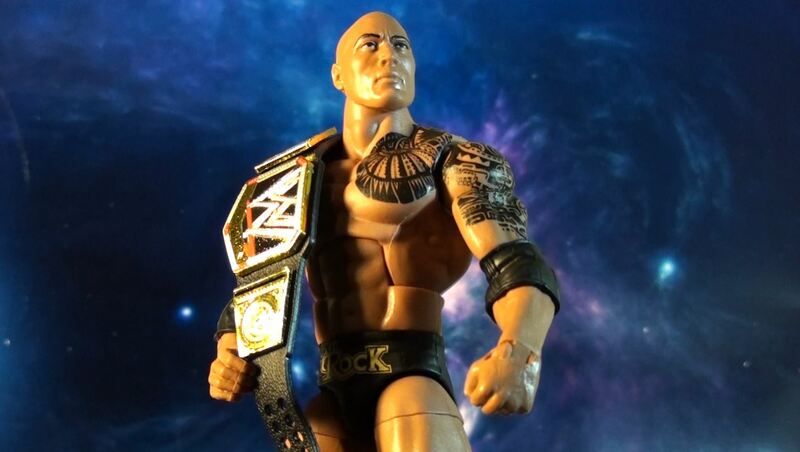 Here’s the Great One,The Rock in very classic attitude era look. Has Elite style articulation.